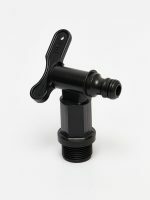 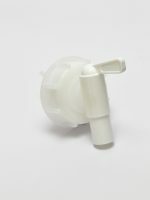 Non-Breather tap with 18mm outlet, short 3/4″ BSP thread and fixed hexagonal body for use in rigid containers with a secondary opening. 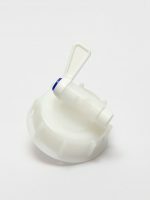 Use a breather tap in single-opening containers to achieve a smooth flow. 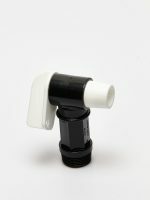 Flow rate is 296ml/second (water viscosity). 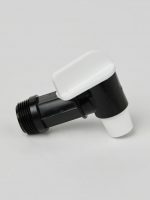 HDPE body, PP spigot, natural rubber washer. 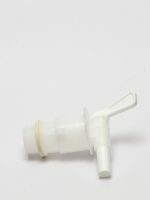 Food grade with wide chemical compatibility. 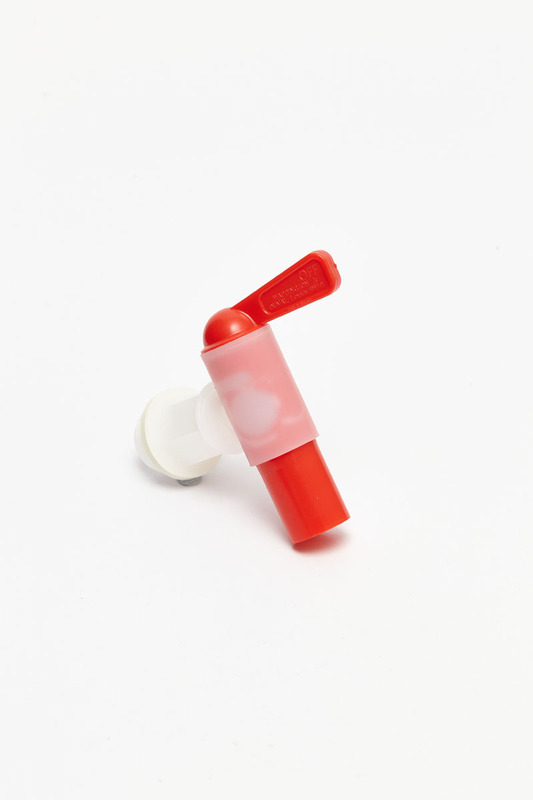 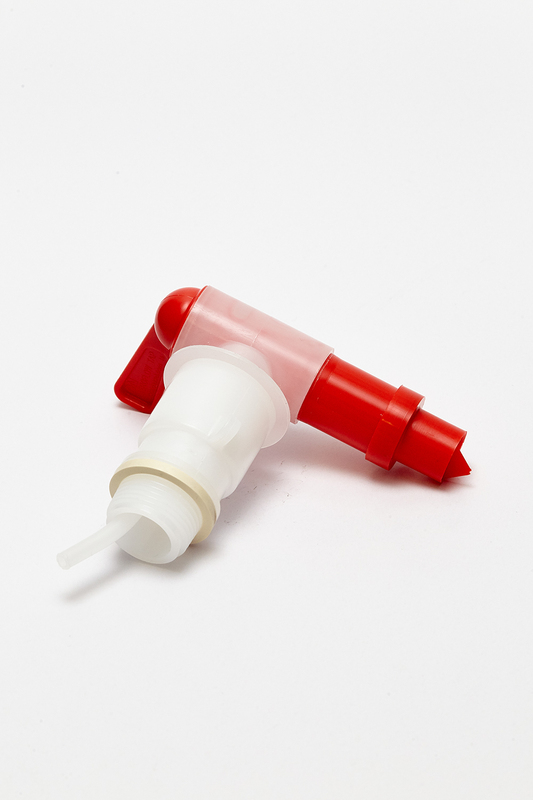 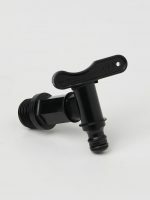 Use with clip-on nozzle (code 204676) to reduce outlet to 12mm if filling into a narrow opening e.g. spray bottles. 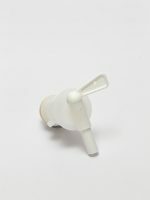 The nozzle image shows this nozzle fitted to an Aeroflow Tap.